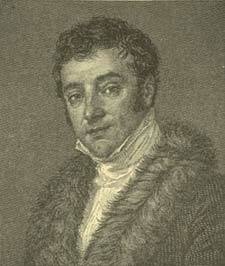 Washington Irving, the first American who obtained a European reputation merely as a man of letters, was born at New York, April 3, 1783. Both his parents were immigrants from Great Britain, his father, originally an officer in the merchant service, but at the time of Irving's birth a considerable merchant, having come from the Orkneys and his mother from Falmouth. Irving was intended for the legal profession, but his studies were interrupted by an illness necessitating a voyage to Europe, in the course of which he proceeded as far as Rome and made the acquaintance of Washington Allston. He was called to the Bar upon his return, but made little effort to practice, preferring to amuse himself with literary ventures. The first of these of any importance, a satirical miscellany entitled "Salmagundi," written in conjunction with his brother William and J. K. Paulding, gave ample proof of his talents as a humorist. These were still more conspicuously displayed in his next attempt, "Knickerbocker's History of New York" (1809). The satire of "Salmagundi" had been principally local, and the original design of "Knickerbocker's History" was only to burlesque a pretentious disquisition on the history of the city in a guide-book by Dr. Samuel Mitchell. The idea expanded as Irving proceeded, and he ended by not merely satirizing the pedantry of local antiquaries, but by creating a distinct literary type out of the solid Dutch burgher whose phlegm had long been an object of ridicule to the mercurial Americans. Though far from the most finished of Irving's productions, "Knickerbocker" manifests the most original power and is the most genuinely national in its quaintness and drollery. The very tardiness and prolixity of the story are skilfully made to heighten the humorous effect. The next few years were unproductive. Upon the death of his father, Irving had become a sleeping partner in his brother's commercial house, a branch of which was established at Liverpool. This, combined with the restoration of peace, induced him to visit England in 1815, when he found the stability of the firm seriously compromised. After some years of ineffectual struggle it became bankrupt. This misfortune compelled Irving to resume his pen as a means of subsistence. His reputation had preceded him to England, and the curiosity naturally excited by the then unwonted apparition of a successful American author procured him admission into the highest literary circles, where his popularity was insured by his amiable temper and polished manners. As an American, moreover, he aroused no jealousy and no competition, and stood aloof from the political and literary disputes which then divided England. Campbell, Jeffrey, Moore, Scott were counted among his friends, and the last-named zealously recommended him to the publisher Murray, who, after at first refusing, consented (1820) to bring out "Geoffrey Crayon's Sketch-book," which was already appearing in America in a periodical form. The most interesting part of this work is the description of an English Christmas, which displays a delicate humor not unworthy of the writer's evident model, Addison. Some stories and sketches on American themes contribute to give it variety; of these Rip Van Winkle is the most remarkable. It speedily obtained the greatest success on both sides of the Atlantic. "Bracebridge Hall," a work purely English in subject, followed in 1822, and showed to what account the American observer had turned his experience of English country life. The humor is, nevertheless, much more English than American. "Tales of a Traveller" appeared in 1824, and Irving, now in comfortable circumstances determined to enlarge his sphere of observation by a journey on the Continent. After a long course of travel he settled down at Madrid, in the house of the American consul, Rich. His intention at the time was to translate Navarrete's recently published work on Columbus. Finding, however, that this was rather a collection of valuable materials than a systematic biography, he determined to compose a biography of his own by its assistance, supplemented by independent researches in the Spanish archives. His work appeared in 1828 and obtained a merited success. It is a finished representation of Columbus from the point of view of the nineteenth century, affecting neither brilliancy nor originality, but a model of tasteful elegance, felicitous in every detail and adequate in every respect. "The Companions of Columbus" followed; and a prolonged residence in the south of Spain gave Irving materials for two highly picturesque books, "The Conquest of Granada," professedly derived from the MSS. of an imaginary Fray Antonio Agapida, and "The Alhambra." Previous to their appearance he had been appointed secretary to the embassy at London, an office as purely complimentary to his literary ability as the legal degree which he about the same time received from the University of Oxford. Returning to the United States in 1832, after seventeen years' absence, he found his name a household word, and himself universally honored as the first American who had won for his country recognition on equal terms in the literary republic. After the rush of fetes and public compliments had subsided, he undertook a tour in the Western prairies, and returning to the neighborhood of New York built for himself a delightful retreat on the Hudson, to which he gave the name of Sunnyside. His acquaintance with the New York millionaire, John Jacob Astor, prompted his next important work, "Astoria," a history of the fur-trading settlement founded by Astor in Oregon, deduced with singular literary ability from dry commercial records, and, without labored attempts at word-painting, evincing a remarkable faculty for bringing scenes and incidents vividly before the eye. "Captain Bonneville," based upon the unpublished memoirs of a veteran hunter, was another work of the same class. In 1842 Irving was appointed ambassador to Spain. He spent four years in the country, without this time turning his residence to literary account; and it was not until two years after his return that Forster's "Life of Goldsmith," by reminding him of a slight essay of his own which he now thought too imperfect by comparison to be included among his collected writings, stimulated him to the production of his own biography of his favorite author. Without pretensions to original research, the book displays an admirable talent for employing existing material to the best effect. The same may be said of "The Lives of Mahomet and his Successors," published two years subsequently. Here, as elsewhere, Irving has correctly discriminated the biographer's province from the historian's, and leaving the philosophical investigation of cause and effect to writers of Gibbon's calibre, has applied himself to represent the picturesque features of the age as embodied in the actions and utterances of its most characteristic representatives. His last days were devoted to a biography of Washington, undertaken in an enthusiastic spirit, but which the author found exhausting and his readers tame. His genius required a more poetical theme, and indeed the biographer of Washington must be at least a potential soldier and statesman. Irving just lived to complete this work, dying of heart disease at Sunnyside, on November 28, 1859. Although one of the chief ornaments of American literature, Irving is not characteristically an American author. Like most of the transatlantic writers of his generation, he disappointed expectation by a scrupulous conformity to acknowledged European standards. The American vine had not then begun to produce the looked-for wild grapes. Irving, however, is one of the few authors of his period who really manifests traces of a vein of national peculiarity which might under other circumstances have been productive. "Knickerbocker's History of New York," although the air of mock solemnity which constitutes the staple of its humor is peculiar to no literature, manifests nevertheless, a power of producing a distinct national type. Had circumstances taken Irving to the West and placed him amid a society teeming with quaint and genial eccentricity, he might possibly have been the first Western humorist, and his humor might have gained in depth and richness. In England, on the other hand, everything encouraged his natural fastidiousness; he became a refined writer, but by no means a robust one. At the same time he is too essentially the man of his own age to pass for a paler Addison or a more decorous Sterne. He has far more of the poet than any of the writers of the eighteenth century, and his moralizing, unlike theirs, is unconscious and indirect. The same poetical feeling is shown in his biographies; his subject is invariably chosen for its picturesqueness, and whatever is unessential to portraiture is thrown into the background. The result is that his biographies, however deficient in research, bear the stamp of genuine artistic intelligence, equally remote from compilation and disquisition. In execution they are almost faultless; the narrative is easy, the style pellucid, and the writer's judgment nearly always in accordance with the general verdict of history. They will not, therefore, be easily superseded, and indeed Irving's productions are in general impressed with that signet of classical finish which guarantees the permanency of literary work more surely than direct utility or even intellectual power. This refinement is the more admirable for being in great part the reflection of his own moral nature. Without ostentation or affectation, he was exquisite in all things, a mirror of loyalty, courtesy, and good taste in all his literary connections, and exemplary in all the relations of domestic life which he was called upon to assume. He never married, remaining true to the memory of an early attachment blighted by death.